Hurricane Katrina was the costliest natural disaster and one of the five deadliest hurricanes in the history of the United States. Property damage was estimated at $108 billion dollars and at least 1,245 people died. Do you think that because these folks along the Gulf Coast suffered in this way they were worse sinners than all the others who were spared? On Thursday, a Kansas gunman (who worked at a factory owned by Excel Industries) opened fired on employees working at the plant. Three people were killed and 14 were wounded. Do you think that those folks who died or were injured were worse sinners than those who escaped the gunfire at the factory? Similar questions to these were posed in today’s gospel. Jesus’ followers wanted to know why a building collapsed on seemingly innocent people and why a political dictator killed his opponents. Did those who died ‘do something wrong’ to deserve such a fate? This kind of question assumes that there is a direct correlation between sin and suffering. But Jesus says no to this kind of thinking. He dismisses the popular but unworthy theology of retribution that was held by the Jewish people at that time as well as many of the prophets over the centuries. If human beings die by the sword, by accident, or by natural disaster, it is not because God has arbitrarily chosen to punish them for their sins while sparing others. Try as we may, none of us can fully protect ourselves or those we love from dangers such as disease, accidents, crime, emotional disorders, random violence, or death. While Jesus avoids answering the question of why bad things happen to innocent people, he does tell his audience that unless they repent, they too will experience death. Today’s gospel is all about repentance; a common theme addressed during Lent. Repentance comes from the Greek word Metanoia which means changing the way we think and allowing God’s thoughts to become our thoughts. It means making the effort to become aware of how our thinking affects ourselves, our neighbors, and the well being of this planet. Repentance has very little to do with groveling in the dirt or feeling shame and guilt. But it has every thing to do with right thinking which is part and parcel of the spiritual journey. Once we have seriously corrected our thinking, right actions will follow. And while we may never know why innocent people suffer, we do know that if we correct our distorted thinking, we and those around us will suffer less. Last year, Volkswagen Car Manufacturer was caught lying to the EPA and the California Air Resources Board about diesel emissions. They had made a corporate decision to cheat emissions tests worldwide by building into their cars a computer program designed to deceive the public into believing that their cars met all air quality emission standards. This deception scheme finally unraveled, ultimately revealing that Volkswagen was polluting the air 35 times over the standards allowed by the Clean Air Act. Corporate heads began to roll, Volkswagen is being sued all over the world, billions of dollars of fines have been levied, sales have plummeted, and this corporation is suffering greatly. There is a connection between repentance and a reduction of suffering in the world. When I repent, when I move beyond my fear-ridden ego, my distorted thinking slowly diminishes. My small-minded, narrow way of viewing everything begins to expand and I finally realize that I am not the center of the universe, but God is. I start to look at my life and the world from God’s perspective. Like a snake molting its old dead skin or a butterﬂy morphing out of a cocoon, I discover how things really are: “I once was blind, but now I see.” Repentance is not tucking our tails and harboring guilty feelings. Rather it is an openness to the Holy Spirit, allowing the Spirit of truth to work on clarifying our wounded minds, healing our broken hearts. And when this Spirit of light shines into that dark, gaping hollow place inside, we start to notice that we have tried to fill that void with pleasure, possessions, and ambition rather than compassion, grace, and generosity which can ultimately heal our broken world. Two years ago, Trudy went through a painful divorce. Having grown up in a chaotic, alcoholic family, her parents did not provide a structure that made her feel safe. In order to cope with her environment, she became a control freak, manipulating people, places, and things to bring order into her life. In her adult life, this coping mechanism became harmful as she tried to over-protect her children, sweeping into their lives at the first sign of distress. She tried to control her husband, being overly demanding, not allowing him his own space and preferences. Over time, her children began to act out and her husband became distant, finally asking for a divorce after 23 years of marriage. Now Trudy is suffering greatly, not knowing where to turn or how to go on. If Jesus were to meet Trudy today, perhaps he would say to her: Change the way you think or your relationships will die. Repent. Your old coping skills of control and manipulation are creating distance between you and your loved ones. I understand that you grew up in a toxic environment where you had little power to change the behavior of your parents. I am saddened that your needs were invalidated, creating a lack of trust in those who were suppose to protect you. But can’t you see that your old life is in the past and a new life is awaiting you? Don’t you understand that your fear of losing control is a spiritual divider? It separates you from your spiritual self and makes it difficult for you to surrender to the Holy One who created you in the divine image. Your need to control comes from a place of fear and is your response to lessen the shame. But there is no place for fear and shame in God’s kingdom. “Come to me you that are weary and carrying heavy burdens and I will give you rest.” [Mt. 11] “Do not let your heart be troubled, and do not let it be afraid…My peace I leave with you; my peace I give to you. I do not give to you as the world gives.” [Jn. 14] For with God, all things are possible, even the healing of your heart and mind. Whether it is shame, fear, low self-esteem, automatic negative thoughts, unforgiven hurts, difficult childhoods, or physical disadvantages, our mental health is key to an abundant life. Most of the suffering we experience begins in our minds with distorted and harmful thinking. And while suffering will remain part and parcel of the human condition, Jesus offers us a piece of godly advice that can reduce our suffering and points to an abundant life. And that advice is to repent: to turn toward the light, to change our distorted way of thinking, to put on the mind of Christ, and to allow God’s thoughts to become our thoughts. Repentance is a Lenten discipline. It is the path that leads to salvation, the path of health and wholeness. Repentance is the good news of today’s gospel. There has been a lot in the media lately about immigration and who deserves to qualify for American citizenship. With hundreds of thousands of refugees and migrants worldwide, seeking a homeland where they can live in peace and get meaningful work, immigration has become a hot button issue in our country. On one side of the issue is the sentiment engraved on the statue of liberty: “Give me your tired, your poor, your huddled masses yearning to be free.” On the opposite side of the argument is the sentiment that “enough is enough” and if it serves our best interests, we should build a wall to keep people out. Citizenship, especially in countries like ours, seems to be a precious commodity that people will pay enormous sums of money and even risk their lives for the privilege. Recently, a man from Elk Grove was arrested for preying on undocumented immigrants. He claimed that he could help people become legal citizens through an adult adoption scheme, for a hefty fee of course! This desire to become a citizen with all its benefits and privileges is nothing new to the 21st C.
2000 years ago, people throughout the Roman Empire also sought citizenship. In a society where slaves were a significant part of society and foreigners were part and parcel of the conquered landscape, citizenship was highly prized. Because they had found favor with the emperor, the people of the city of Philippi were granted Roman citizenship and were very proud of their status. This afforded the Philippians many benefits and privileges. But it also required them to play by the rules of the empire and to respect the traditions that the culture demanded of them, including emperor worship. As you can imagine, it was sometimes difficult to choose between living in accordance with the values of the empire and being faithful to the gospel of Christ. It was into this tension that Paul reminded the Christians at Philippi that they had another citizenship above and beyond Rome and that they had a greater Lord than Caesar. It is this subject of dual citizenship, being a citizen of a country while at the same time pledging one’s allegiance to Christ, that I want to address in today’s sermon. But first, let us take a look at the situation in Philippi and its allegiance to Rome. In today’s letter to the Christians in Philippi, Paul is not suggesting that they give up their Roman Citizenship. Instead, he reminds them that they have another citizenship which requires that they give their allegiance first and foremost to Jesus Christ. Paul is not asking that they remove themselves from the world but rather that they seek the things that are above by imitating Christ, embracing his ethic of compassion, generosity, peace, justice, and the dignity of every human being. As baptized Christians, they are to pattern their actions and values on the precepts of the gospel and to resist any cultural practice that contradicts the spirit of Christ. This dual citizenship was a challenge back then and remains a challenge for us today as we get ready to choose our next president. How would Jesus vote and what ethics and principles would he celebrate in a candidate? Many faithful Christians today feel as if they are resident aliens in a culture whose values have broken down. Like the Philippians, we Americans have also been born into a culture where many of its values are inconsistent with the gospel’s. We live in a society that supports competition over cooperation. We have gotten sucked into to a materialistic world, craving for what is bigger, better, faster and more, rather than being satisfied with a simplicity of life, sharing our abundance with those who have little. Our politics tells us that there isn’t enough to go around and that we must be frugal with our wealth. There never seems to be enough money for health care, education, and basic infrastructure. Yet how strange it is that our country seems to have enough money to support an annual military budget of over ½ trillion dollars per year. From the beginning of Christianity to our present time, there has always been a struggle between the ways of the world and the ways of the gospel. How are Christians to engage and relate to the surrounding culture? How are we to live? Do we remove ourselves from the surrounding culture, living in seclusion like the traditional Amish? Should we uncritically embrace our cultural as a good thing and let Wall Street determine our future? Or should we seek to transform our hearts and the culture around us? Where does our loyalty to our country end and our allegiance to Christ begin? What do Valentine’s Day and the first Sunday in Lent have in common? Well the way I look at it, the desire to love and to be loved is at the center of both occasions. St. Valentine was born in the 3rd century during the reign of Emperor Claudius who persecuted the Christian Church on a regular basis. As the story goes, this Emperor discouraged the marriage of young people based on the theory that unmarried soldiers fought better than married soldiers. Many believed that married soldiers were more afraid of what might happen to them or their wives or their families if they died. While there are many legends about his life and subsequent martyrdom, Valentine was thought to be a priest who strongly believed in monogamy and the sacredness of marriage. Not only did he encourage couples (including soldiers) to marry within the Christian church but secretly married them against the emperor’s edict. Eventually, Valentine was caught, imprisoned and tortured for performing marriage ceremonies and was ultimately sentenced to death. Since that time, St. Valentine has come to be known as the patron saint of lovers. Today is the first Sunday in Lent. It is presented as a solemn occasion beginning with the chanting of the Great Litany. 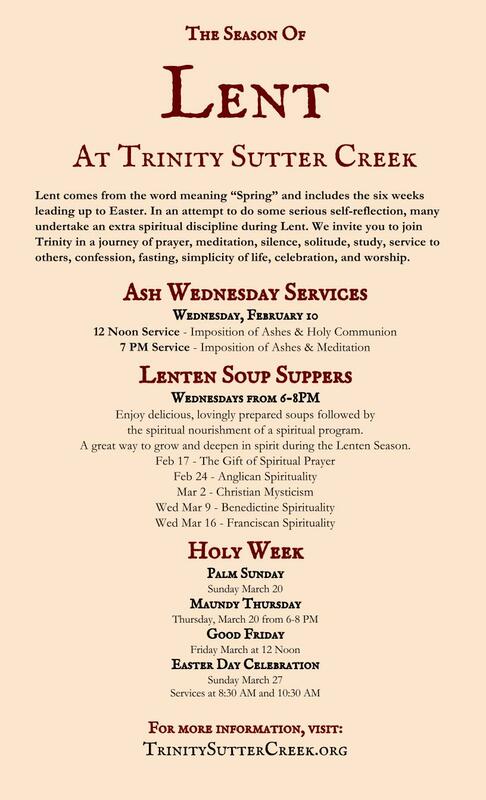 And although Lent is typically billed as a time for penitence and reflection, it need not be dismal. After all, the purpose of Lent is to spend time in reflection for the purpose of getting rid of those obstacles that keep us from being more loving and compassionate. In summary, Lent is all about learning to love more fully by following our savior’s path of compassion. What are those obstacles in your life that get in your way from loving God with all your heart, mind, and soul and your neighbor as yourself? What keeps you stuck in behaviors and attitudes that come from a place of hurt and fear? What do you need to do to move forward to become that authentic person created in the image of God? I think it takes a lot of courage to honestly reflect on our darker side. Personally, I think it is easier to do this difficult, inner work when we feel loved. So I wish each and every one of you a Happy Valentine’s Day and hope you enjoy the little valentine in your bulletin. Each year on the the first Sunday in Lent, we read the story about Jesus’ temptations in the desert. This year, we will get St. Luke’s perspective. After Jesus is baptized, he is filled with the Holy Spirit. He hears God’s voice telling him: “You are my son the beloved; with you I am well pleased.” Luke tells us that Jesus is then led out into the desert by the spirit where he prays and fasts for forty days. I am not exactly sure what Jesus did for that long period of time but he must have spent time reflecting on what he was going to do with the rest of his life, about how he might use his gifts most effectively as one who is deeply loved by God, and what it means to be God’s son. But like anyone who spends significant time in silence and fasting, Jesus had difficult thoughts, feelings, and temptations that came to the surface while praying in the desert. All of us have gone through those “desert” times when we have had to struggle with issues of failed relationships, declining health, unemployment, hurt feelings, and addictions of every kind. It is tempting to take the easy way out, choosing to do what is expedient to stop the pain. But the religious life is not about the easy way out. Rather it calls us to spend quality time discerning God’s will for us. Unfortunately, magical thinking is one way we humans choose to ignore God’s will when the going gets tough. Magical thinking is the equivalent of clicking your ruby heels together, saying “there is no place like home” 3 times and expecting yourself to be transported from being stuck in traffic gridlock to your front door. Magical thinking is simply wishful thinking that does not meet the common sense test and will ultimately end in failure. Magical thinking can be fun when it involves harmless actions like playing the tooth fairy or wanting to be like Harry Potter who waves his magical wand to stop his enemies in their tracks. But when magical thinking infringes on the more important issues of life, like how to run a country, it can become dangerous and create more problems than it solves. In today’s gospel story, Jesus was tempted to engage in this more dangerous kind of magical thinking: “If you are the son of God, command this stone to become a loaf of bread.” If you worship me (instead of God), then I will give you authority over all the kingdoms of the world. Throw yourself down from here and God will protect you. [Lk 4] Fortunately, Jesus resisted these unhelpful thoughts. Magical thinking is an instinctual thought process, designed to make us feel happy and hopeful during the many hardships of life. It is the daydream of someone who is in deep financial trouble, who bets all sorts of money on the lottery, believing he has a good chance of winning in spite of 1:100 million odds. It is the belief that there is the perfect person out there who will fix all my problems and so I will live happily ever after. This kind of magical thinking has extended into our political debates. Many folks in our country today feel marginalized, unable to find meaningful work, discouraged with a system that has not only failed them but have plunged them into hopelessness and despair. Because of this, some have turned to a world of fantasy, believing there is a presidential candidate out there who can solve all their problems without great sacrifice. We like leaders to talk big, to tell us that our problems are simple, to convince us there are easy solutions to complex problems. We want to believe that jobs will rush back from China and Mexico, that our current health care system will be replaced by something terrific, that drugs will be stopped cold at the border, that building a 2000-mile wall will solve the immigration crisis, that taxes will be lowered, our standard of living increased, deficits wiped out and the economy will thrive if we just elect a tough leader. This is magical thinking that contradicts logic, history, the US Constitution, and the principles of our faith. It is tempting to sell one’s soul to the devil in the hopes of getting what we want. It is much more challenging to remain faithful to our baptismal vows while seeking a permanent solution that is best for the common good. From my perspective and that of the gospel, it takes a lot of hard work, patience, personal sacrifice, an openness to grace, team building, and commitment to the principle of compassion in order to change a society where peace can be maintained and justice for all is valued. While Jesus struggled with the temptation to engage in magical thinking and to resist immediate gratification, his deep relationship with God ultimately prevented him from compromising his religious values. Instead of turning stones into bread with the wave of his hand, he later fed the crowds with bread and fish and the word of God. Instead of conquering the kingdoms of the world by force while seeking glory for himself, he proclaimed God’s kingdom of justice, peace, and compassion as a humble servant. Instead of risking his life by doing something stupid like jumping off the pinnacle of the temple, he ultimately sacrificed his life on the cross for challenging the powerful leaders of his day. We who have been marked as Christ’s own forever in baptism, are called to do likewise. We live in a world that is filled with hatred, conflict, and greed. The gap between the poor and the rich continues to increase. Human suffering and deprivation is all around us and we long for a new world order. What shall we do? Today’s gospel reminds us not to take the easy way out by compromising our baptismal vows or engaging in magical thinking that will only end in failure. Instead, we are called to open our hearts to the Holy Spirit who leads us into all truth. It is God, not politics, in whom we need to put our trust. There are some really wonderful people in the world! My experience today proves it. I got home this evening after stopping at the grocery store and proceeded to unload the groceries. When I looked for my bag, I couldn't find it and knew immediately that I left it in the grocery cart. To make matters worse I had a whole months worth of checks and cash that I had prepared to deposit. Needless to say I was disturbed. Bill offered to drive me back to Safeway and I prayed all the way. When I got there, of course, the cart had been picked up where I left it. I went inside to the counter and asked if anyone had turned it in. YES! A dear woman found the bag in the cart and turned it in to Safeway. Thankfully, she left her name and number with the bag so that I could call her and thank her. When I called, she shared that she thought when she found it, that if that had happened to her she would hope and pray someone good would find it and turn it in. Sandra is that someone good in answer to my prayer. As you may have noted from last month, there have been and continue to be many changes at The Well. 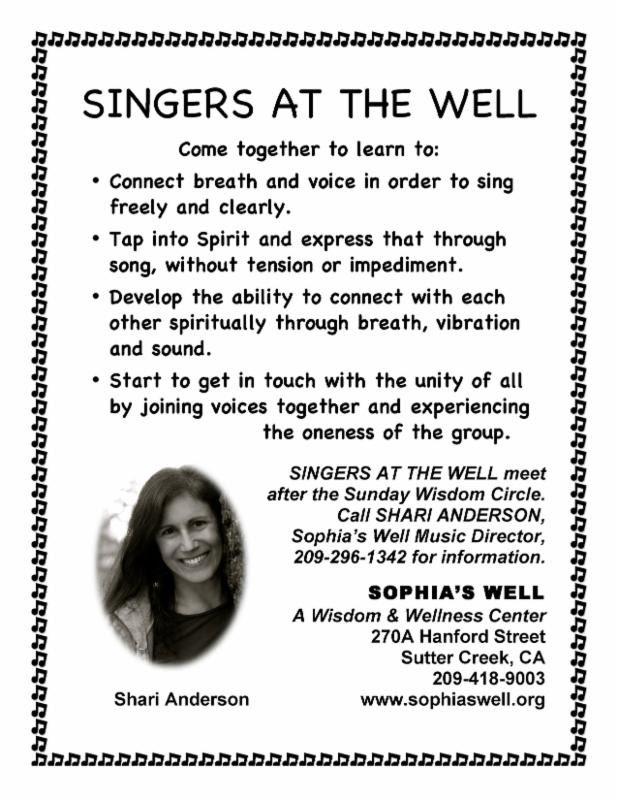 First of all is the change of name from Sophia's Well of Wisdom to Sophia's Well, which has been my business name for ten years now. 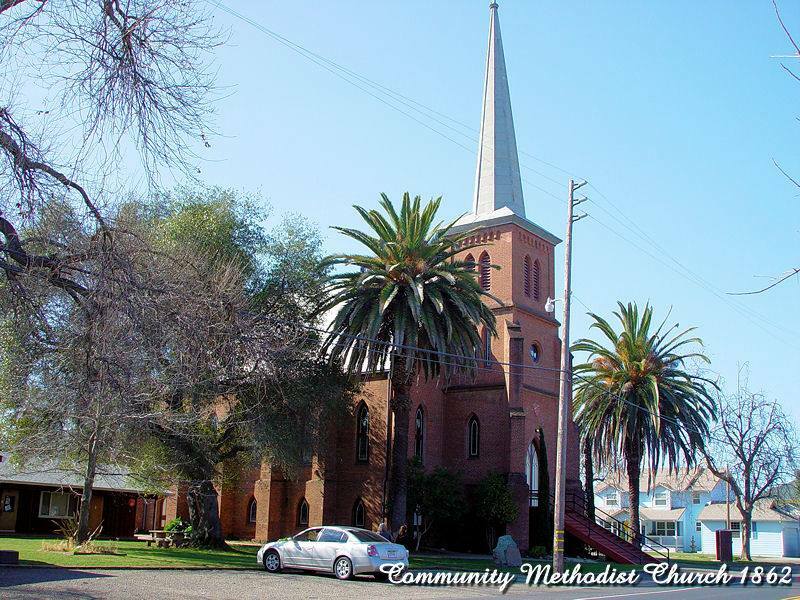 Sophia's Well of Wisdom was the name of the church charter provided by the Light of Christ Community Church and under which we had 501c3 status. When LCCC decided to no longer offer charters effective 12/31/2015 and after talking it over with my wonderful group of advisors, Sophia's Circle, I made the decision to revert back to my original business, Sophia's Well. As such, donations will no longer be tax exempt, but the wisdom education and wellness services will continue to be provided to the spiritual community in the local area. (We even have some who drive all the way from Sacramento to our Sunday Wisdom Circle.) After wondering how the people would respond to the changes, the month of January proved to be very fruitful both in attendance and in donations. Thank you to all the wonderful people who continue to support the evolving spiritual community at what we loving call "The Well". Our 2016 theme: Spiritual Healing and Wholeness is off to a great start. We discovered last month that the 1st Law of Healing in the Esoteric Philosophy says, "Disease is the result of an inhibited soul life." February will focus on The Nature of the Soul in relation to healing. 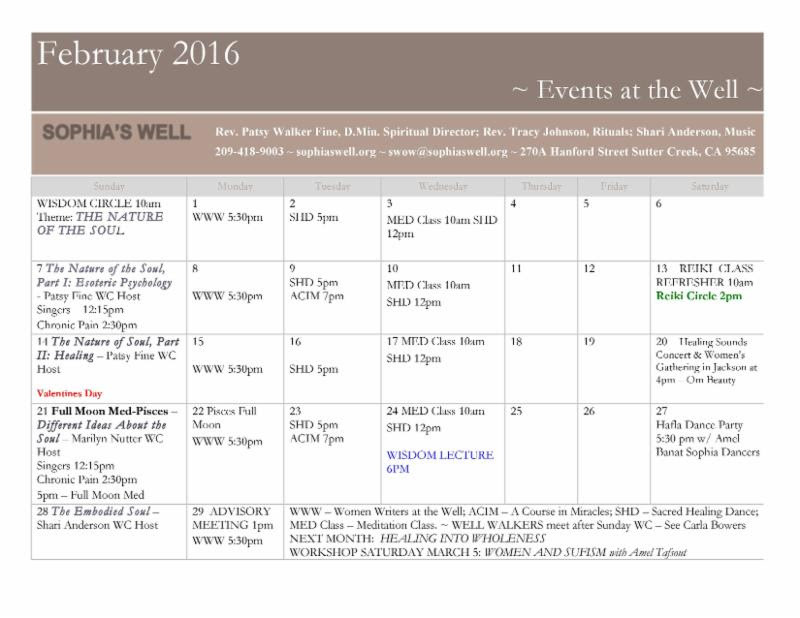 See the February calendar below for the Wisdom Circle lineup for the month. I'll be posting each week's Wisdom Circle Readings in the website www.sophiaswell.org so check it out along with the changes on the website. Another change is the Meditation for Transformation class will now be ongoing on Wednesday mornings at 10 - 11:30am. Lynnea teaches the class which includes training in the basics of a good research-based meditation practice, breath work, relaxation techniques, the research behind and benefits of meditation, other related meditation practices including mindfulness meditation, and much more. The classes will also include plenty of meditation practice time. The class fee is $15 per class. After a person completes the basic five introductory classes, they may continue taking the classes and practice sessions at a discounted rate. Contact Lynnea at 304-6174 to register. 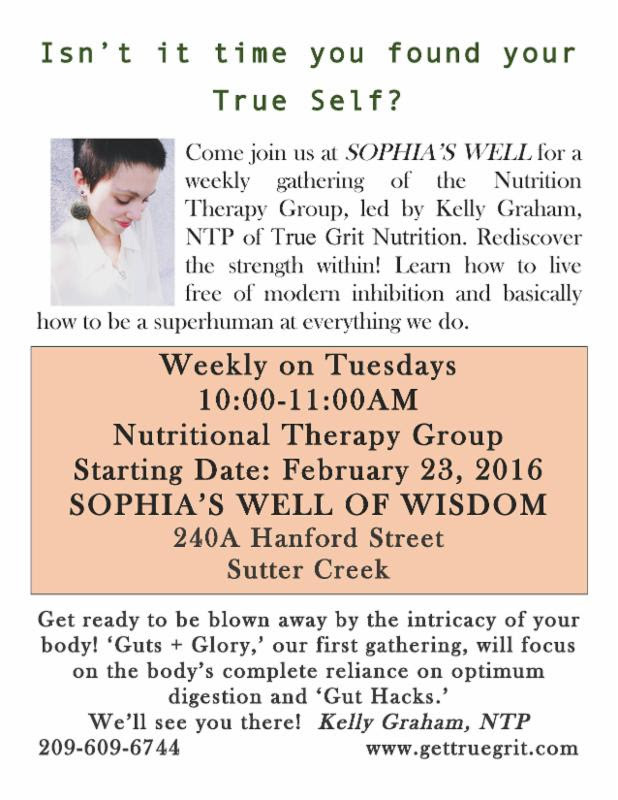 Another new health oriented service is a Nutrition Therapy Group. It meets on Tuesday mornings at 10am starting on February 23. Kelly Graham, NTP will lead the ongoing group as well as teach classes from time to time. I know I need all the help I can get! Call Kelly at 209-609-6744 to get more information or visit her website at www.gettruegrit.com. Check out the Upcoming Events in February. We also have a wonderful workshop coming on Saturday March 5. Amel Tafsout will present a day learning about Women and Sufism and participating in some Sufi Healing practices. Stay tuned for more information, but pencil it into your calendar. We'll share a potluck lunch (bring something vegetarian to share) and at 2pm we'll have a Reiki Circle for all who want to share Reiki healing. Do RSVP so I'll know who all is coming; 209-418-9003or sophiaswell@volcano.net. If you are not in my Reiki lineage, but you have completed Reiki I and II and would like to participate,you are welcome to come for the Refresher. Speaking of Reiki, its time to offer a Reiki Training class for 2016. If you are interested or know someone who is, please contact me. It will likely begin in the Spring. My Comprehensive Reiki class covers Reiki I and II and takes about 4 months to complete. Reiki I consists of Reiki as Spiritual Practice and Reiki II is Reiki as Healing Service. Give yourself a Reiki Valentine! 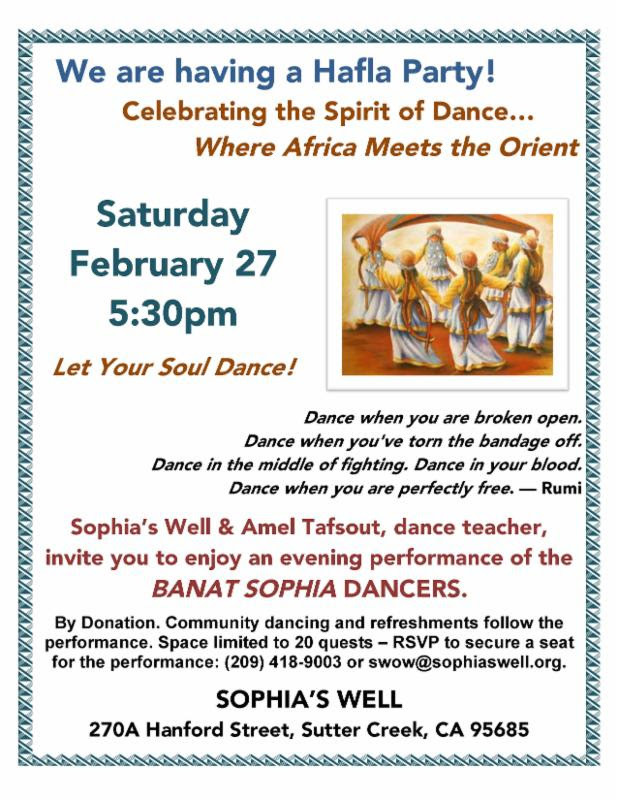 You are Invited to a Hafla Party! The journey from patient to person takes time. The isolation and fear that can overwhelm a person with chronic pain grows over time. And, the return to a fuller, more rewarding life also takes time. I cannot take place overnight. But it is possible, with your continuing commitment and the support of others who understand chronic pain. From the pamphlet "Ten Steps From Patient to Person" published by the American Chronic Pain Association. - In ancient times, people believed that the earth was at the center of the universe. Today we know that our planet earth is only one of over 100 billion planets contained in the Milky Way. - In ancient times, people passed on history by telling stories orally. Today, information is stored on silicon chips and is passed along through the world-wide internet. - In ancient times, most people died before the age of 40 from war, plague, hunger, and childbirth. 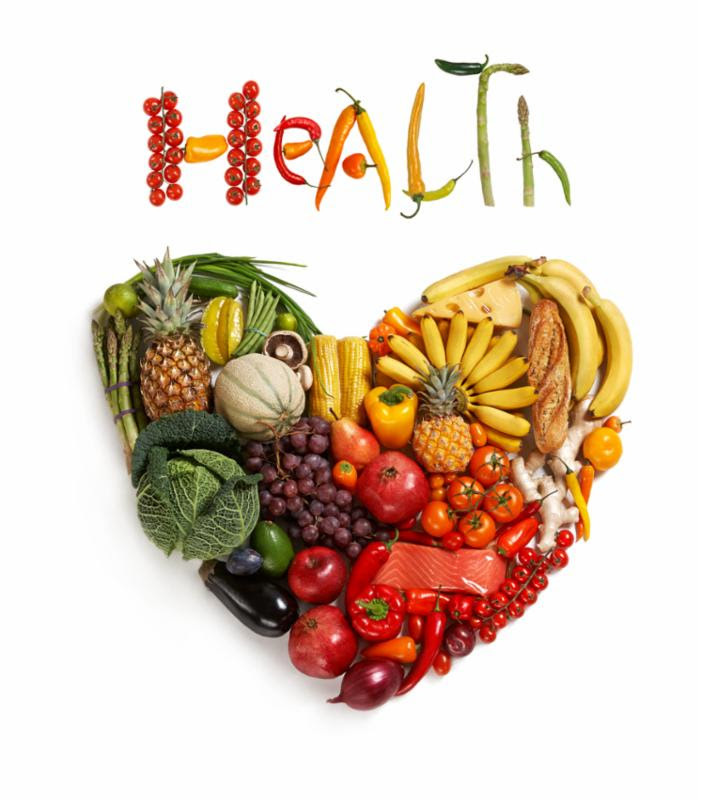 Today, most people live to the ripe old age of 80, finally succumbing to cancer, heart disease, and organ failure. - In ancient times, the needs of the family and the local clan came first and foremost. Today the needs of the individual are primary. - In ancient times, people adhered to the religious customs of their parents. Today, over 30% choose a religious path that differs from their parents, often rejecting religion altogether. - In ancient times, the world was divided between Jew and Gentile. Today, we recognize that the world is alive with many religious traditions including but not limited to Buddhists, Jews, Christians, Muslims, pagans, atheists, and Sikhs, all of whom are loved by God. - In ancient times, people were concerned about the afterlife and resurrection. Today, people are concerned about immediate gratification, thinking little about the consequences of their actions. - In ancient times, girls were married off and boys began to work full-time, soon after puberty. Today, young adults are still living at home with many failing to launch into mature adulthood. - In ancient times, the Sabbath day was on Saturday, a holy day of rest. Today, our Sabbath day is held on Sunday and has become the busiest shopping day of the week. - The ancients tried to understand how the world came into being and wrote down two creation stories in the book of Genesis. Today, we continue to explore the big bang and other theories to get closer to the answer of how the universe came into being. - In the Book of Exodus, we read the story of the Jewish struggle from slavery into freedom, a people who longed for a promised land where they could thrive and live in peace. Today, people continue to strive for freedom and dignity, with millions of migrants seeking a homeland where they can live in freedom and peace. - In ancient times, fighting wars over issues regarding land, power, and economic advantage was a reality throughout biblical times. This still remains a preoccupation in our world today. - In ancient times, infertile women became bereft, longing for a child who would not come naturally. The stories of barren women and the worshipping of fertility gods speak to this situation. Today, infertility continues to affect 10% of all couples worldwide, breaking the hearts of many and giving rise to a billion-dollar fertility business. - In ancient times, tribes, countries and empires used violence to respond to violence, thus perpetuating the cycle of violence. Nothing much has changed since then. - In ancient times, most people wanted to live in peace, seeking honest work, a home, and the ability to care for one’s family. Today, these aspirations remain the same. In ancient times, people wanted to be loved, to give love, and to live in a world where love was the operating principle. And basically, isn’t that what we all want today? It was this principle of love that was embodied in the teachings, the healings, and the spirit of Jesus. This is why we gather each Sunday as a community of faith - to grow into love more fully and to learn how to follow in the compassionate footsteps of Jesus. There is something compelling about living a life of compassion. Today’s reading (from the first letter of Paul to the Corinthians) speaks to this path of compassion, the essence of Christian love. It is difficult to hear 1 Corinthians 13 without thinking of white dresses, rented tuxedos, and wedding cakes and all the other customs that our culture uses to prop up its romanticized notions about marriage. However in this letter, Paul is not addressing a hopeful couple on their wedding day. Instead, he is addressing a dysfunctional church in Corinth Greece that is made up of newly baptized Christians. They do not have a clue on how to live in harmony as a community of faith. These Christians have been abusing their freedom, exploiting their relationships, refusing to share food, scorning their neighbor’s spiritual gifts while boasting of their own. Many were seeking public recognition and fame while others jockeyed for positions of power in the church. So for Paul, love is the answer to most of their challenges. In response to the Corinthians being puffed up and bragging, Paul says: “Love is not envious or boastful.” In response to their being selfish and self-serving, Paul tells them: “Love does not insist on its own way.” In response to their ignoring those in the lower social classes, Paul tells them: “Love is not arrogant or rude.” Thus for Paul, love is the antidote to most of the problems that plague this particular community of faith. So what might Paul advise us here at Trinity today? Our issues are different from the folks in Corinth Greece. We are not puffed up but humble. We reach out to those on the margins with our feeding programs and health ministries. As far as I know, most people here are kind, not arrogant or rude. And yet, like the Corinthians, we too have many challenges. 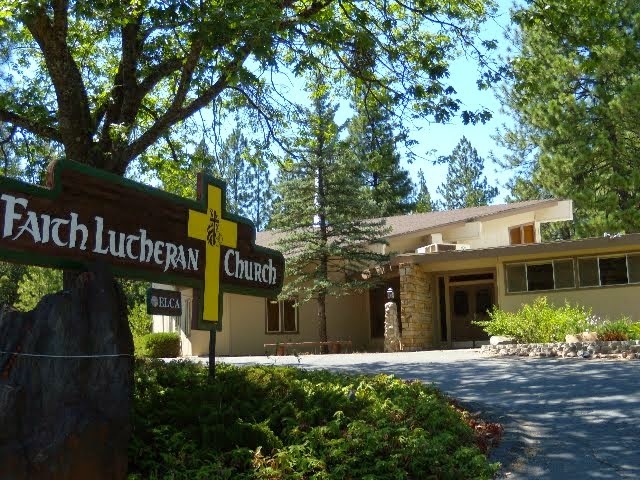 Our congregation is aging. We live in a culture where worship and commitment are not primary values. Religious life in America is changing dramatically and Christianity in the west is in decline. America's third largest religious group — and one of its youngest — is 'unaffiliated,' an independently minded group, with no single issue, theology, or view of God. Many observant and not so observant Christian parents feel perplexed as their children leave the faith and never seem to come back to it. Younger families seem overwhelmed, both economically and emotionally, not willing to commit the time and energy and resources to sustain a community of faith. People are pulled in so many directions, unable or unwilling to worship on a regular basis. So how do we do church here at Trinity given the signs of our times? While we can’t go back to ancient times, the wisdom that Paul offered the church in Corinth Greece some 2000 years ago is the same wisdom that can revitalize our congregation. Paul’s antidote to the challenges facing the Christians of the 1st century was simple: Love God and love one another! So how do we respond to those who show up at our church doors who are not the traditional family? We love them by welcoming them with a warm embrace. How do we respond to those who come to our coffee hour who are new and unknown to us? We love them by showing hospitality and taking the time to get to know them. 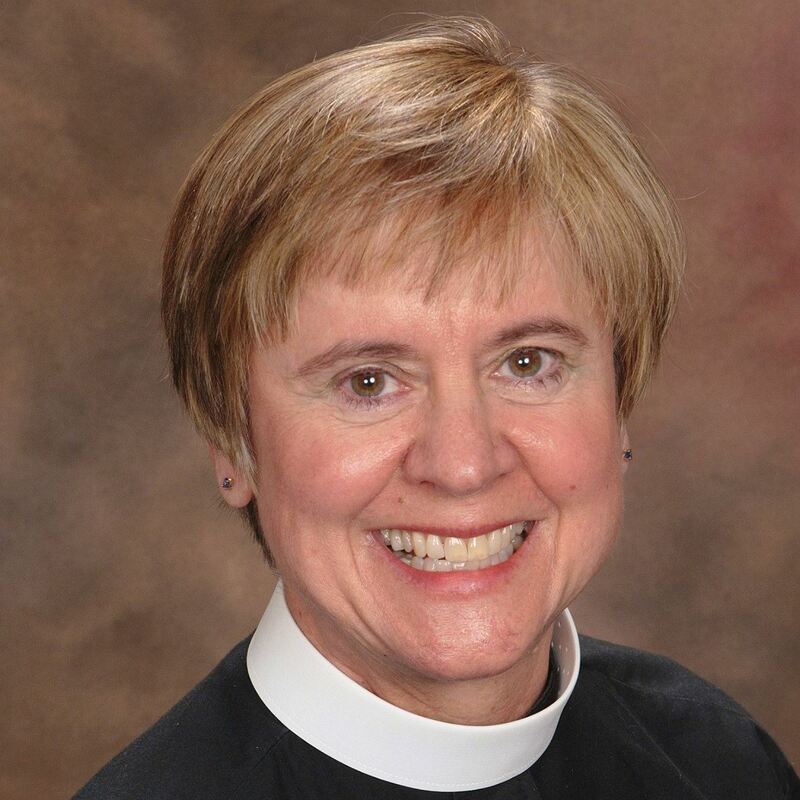 How do we respond to those who come to Trinity Church in transition, whether it is because of a divorce, mental and physical illness, economic struggles, or isolation? We love them by being kind and reaching out with acts of compassion. Most folks no longer come to church for the liturgy or the doctrine or even a church’s political stance. Most people return to church to be part of a loving community where they can experience love and grow in love. And while we can’t go back in time, we can embrace those ancient truths which are eternal: “Love is patient; love is kind; love is not envious or boastful or arrogant or rude. Love does not insist on its own way…but rejoices in the truth. Love bears all things, hopes all things, endures all things. Love never dies.” [1 Cor.13] So please join me in renewing our commitment to “seek and serve Christ is all persons, loving our neighbor as ourselves.” [BCP 305] After all, love is the antidote for just about every challenge that our congregation may face.